This is such a wonderful book for the animal lover. I used it while planning a pet blessing at my church. Diana L. Guerrero’s expertise shines through in this wonderful book that celebrates the traditions and wonders of animal blessings. This is a must read for animal enthusiasts. 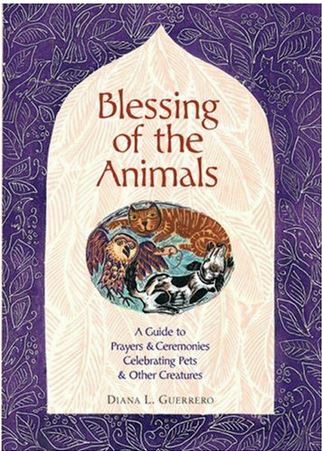 Blessing of the Animals is a guide containing a compendium of stories, prayers, ceremonies, and engaging tidbits. You will find blessings not only for the pets and other animals of the world, but those useful for animal lovers who want to include their beloved companions in family ceremonies. In addition to sharing the history of animal blessings and pet blessings from different parts of the globe, it also covers the trends of contemporary ceremonies such as pet birthday parties, and unique pet memorials and services. If you've ever wondered about the historical roots of both the traditional blessings, or the contemporary critter celebrations, you'll discover that information inside, AND also learn where to find some of the most popular ones today. You'll enjoy tales of muttrimony or how to include pets in your own nuptials along or get advice on hosting a purr-fect party, how to participate in a pet pageant, and get a few tips for creating your own traditions. You'll find unique blessings from some of the most popular animal blessing ceremonies as well as learning more about the history and location of animal blessings in the United States, Indonesia, France, Italy, Switzerland and the United Kingdom. Part 2: Rites of Paws-sage: Muzzle Tov! Here you'll learn about mitvahs as a new trend for dogs, cats and horses. Plus you'll discover unique ceremonies for all kinds of critter celebrations. In this section you'll learn about pet weddings and find examples of ceremonies for bonding, celebrations and connection. Party animal takes on a whole new meaning in this section with everything from Yappy Hours to Pet Pageants and seasonal galas. Also contains ceremonies and prayers for new pets, pet selection and arrival, sickness and more. Pet loss is a tough passage and in this section discover pet memorial ideas for cremation or funerals and other ways to memorialize pets. Find tips and hints for holding pet blessings and other animal ceremonies as well as the "Bless the Beasts" prayer. Personally, I heartily recommend this wonderful book to anyone interested in animals and spirituality. Whether you are in an animal-related profession, are crazy about your companion animal friends, or know someone else who is, you will find inspiration and practical uses for the many delightful blessings in this book. Blessing of the Animals is a MUST READ for all animal lovers, spiritual seekers, and those who serve them. Blessing of the Animals is a most welcomed resource for celebrating the deep reciprocal relationships that humans form with a variety of nonhuman animals. Stories, prayers, poems and ceremonies filled with respect, compassion and love honor the place that animal beings play in human lives. This book is an absolute delight! The prayers and blessings are uplifting and honoring to our furred, finned and feathered friends. The anecdotes and ceremonies are wildly entertaining! This book is a must read for anyone who loves animals! Books on ritual and ceremony are far too rare as it is, but rarer still--and so of even greater value--is this unique collection of prayers, blessings and ceremonies for animals, and for the humans who love and chrish them. With this book, Diana offers encouragement to all of us who would honor our animal family members at critical junctures of their lives with us. She gives us all the tools we need to create our own blessings for the animals. What a gift! Know as the “Ark Lady,” Diana L Guerrero’s first word was “fish” and the rest is history. Perhaps you’ve seen this animal expert in the media in spots on such shows as The Today Show, or perhaps you’ve heard her on NPR, or quoted in the print media. As an industry veteran of over 35 years, her animal sense and pet industry savvy is unparalleled. This animal training expert has been associated with a variety of top name zoos, animal shelters, pet rescue groups, and many other animal industry facilities and businesses. She has appeared on stage in a variety of settings and is a popular speaker on animal related topics. Guerrero’s works and quotes have appeared in zoological journals, pet industry and veterinary industry publications, and various magazines throughout the world. In addition to Blessing of the Animals: A Guide to Prayers & Ceremonies Celebrating Pets & Other Creatures (2007),, Diana is the author of several books including What Animals Can Teach Us about Spirituality: Inspiring Lessons of Wild & Tame Creatures (2003), and the award winning Resources for Crisis Management for Animal Care Facilities (1999)…and more. 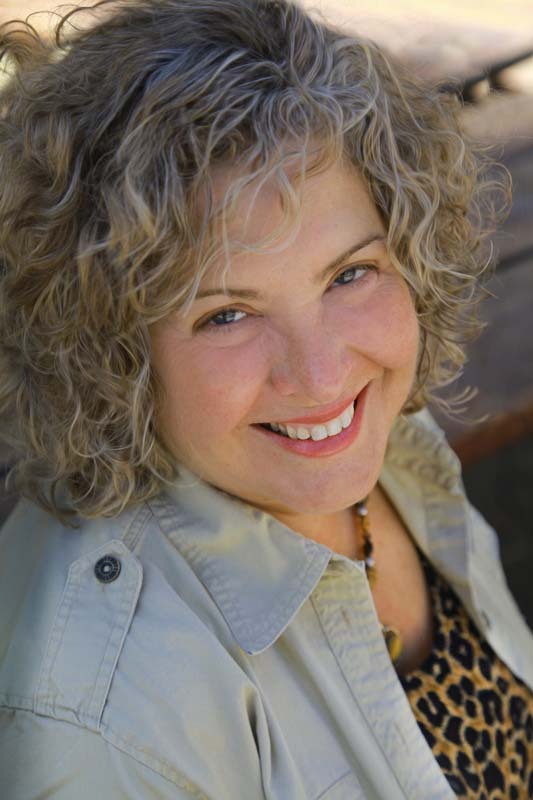 A native of California, she is represented by the New York Literary Agency, Bykofsky & Associates.